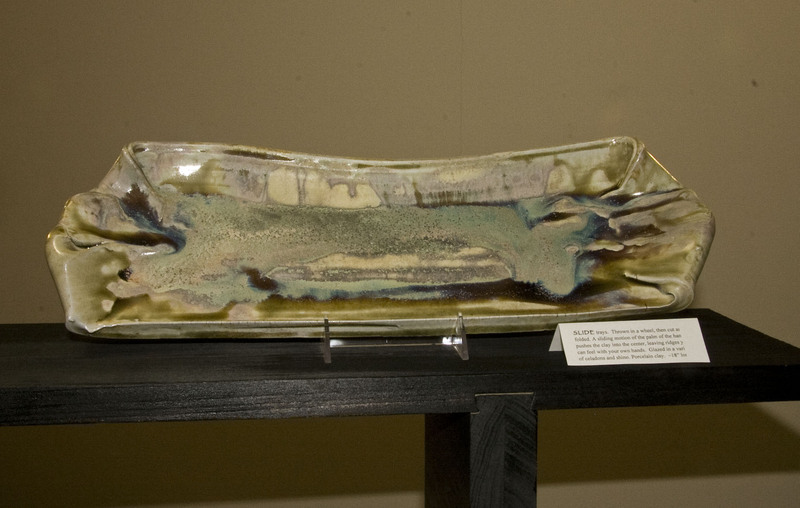 “Transverse” was accepted in a jury show- The Visions in Clay at San Joaquin Delta College. It is on exhibit at LH Horton Jr Gallery between August 20th – September 17th, 2015. Opening reception is August 27th, 5-7PM. 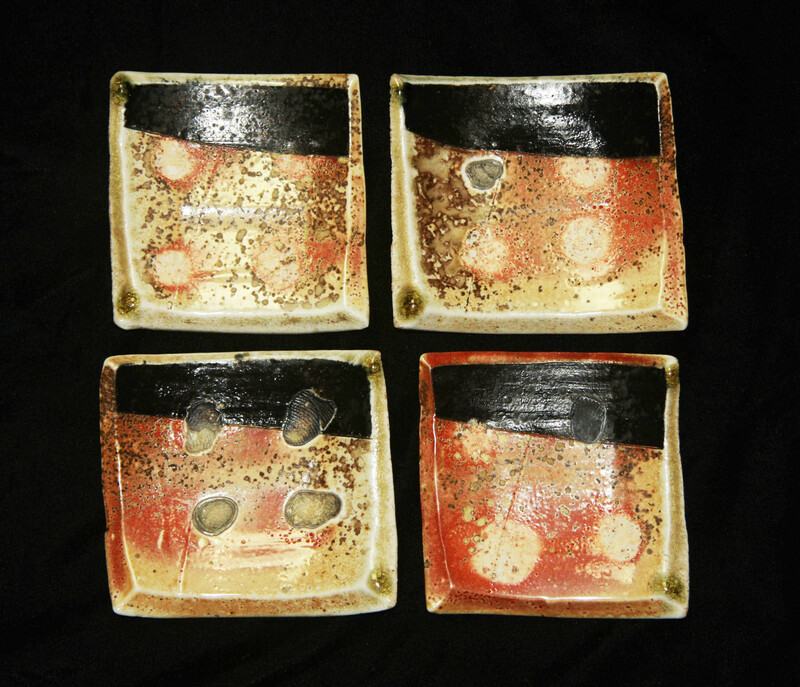 Transverse is a multi-day wood fire in a Naborigama style kiln. Thrown on a wheel in one single ring, cut and altered. 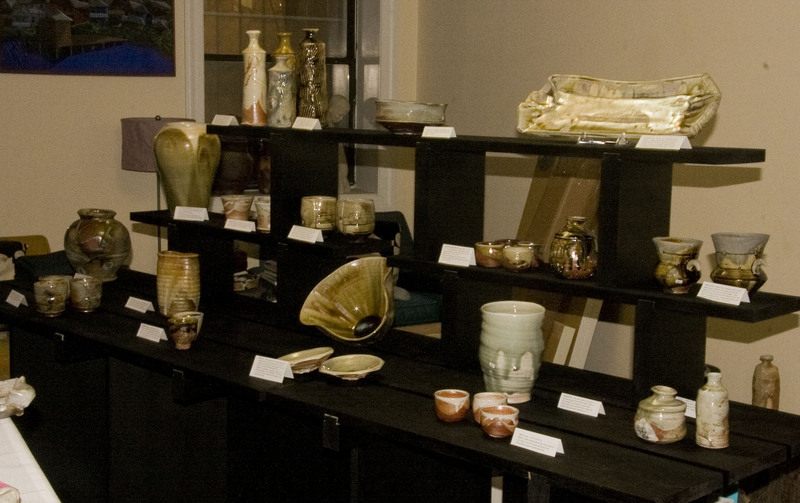 Porcelain, with under glaze and slip. 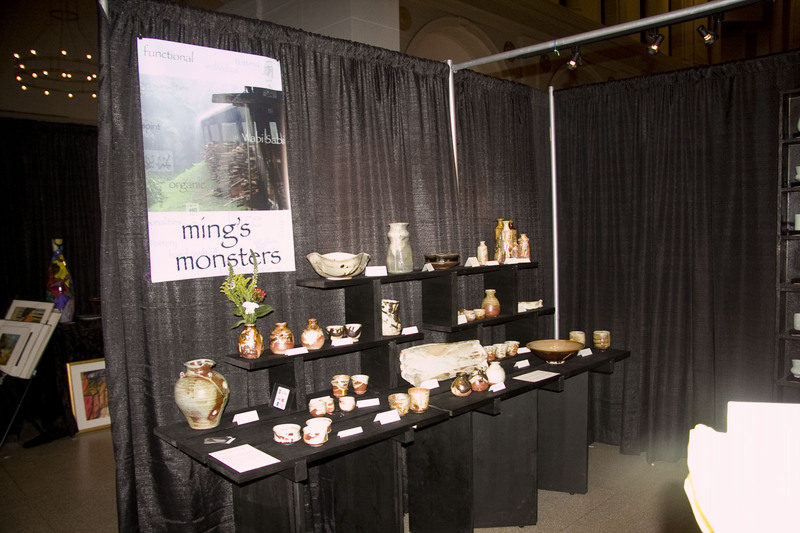 Like my facebook page: www.facebook.com/mingsmonsters. 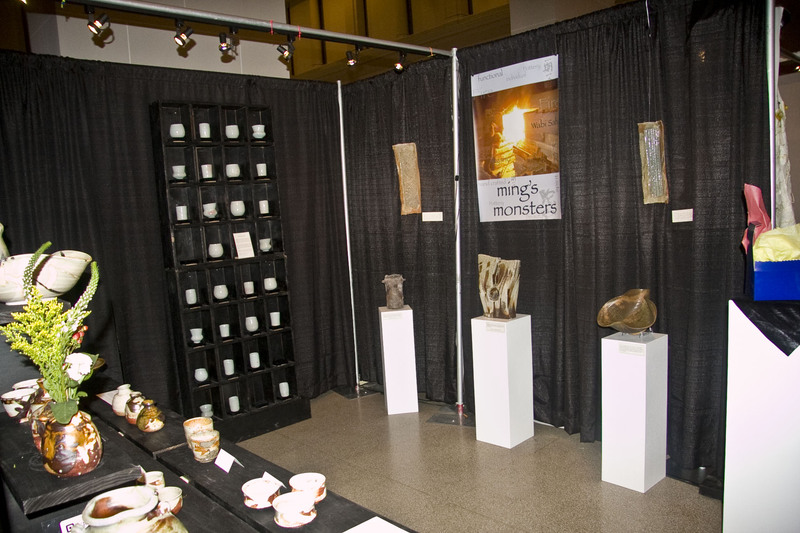 Chalice and Couples pieces will be available (they have their own pages on the website), and also a kiln full of wood-fired new work that I will post pictures of…on my blog? So much to do! Or on the Facebook pages. So take a look around. Here is a peek at a couple of the new monsters, below. 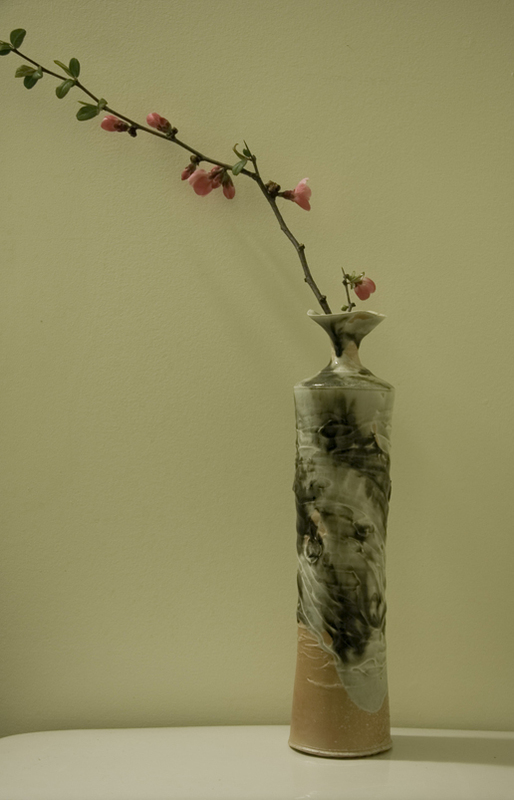 GALAXY, wood-fired bottle/bud vase, shark-skin shino and violite glaze. 8 inches tall. HAPPY BUDDHA and friends, sake set. 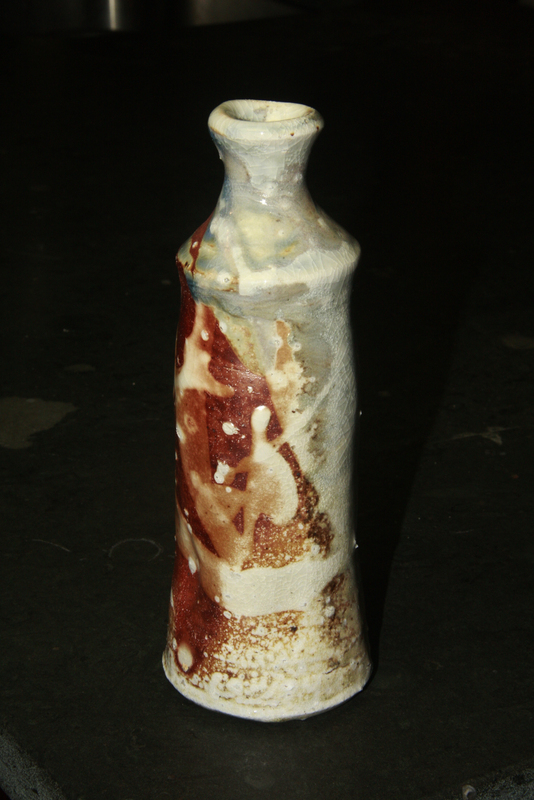 Carafe 5″ high by 4″ wide. 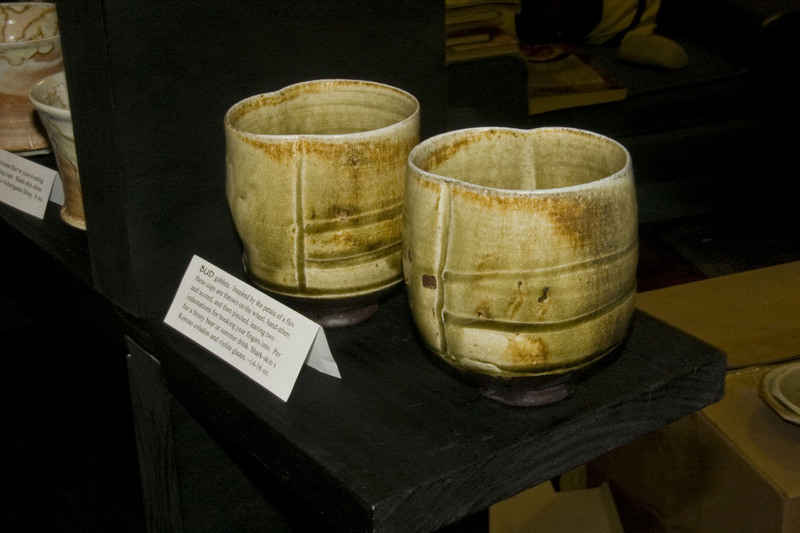 JIZO cups, 2.75″ wide by 2″ high. 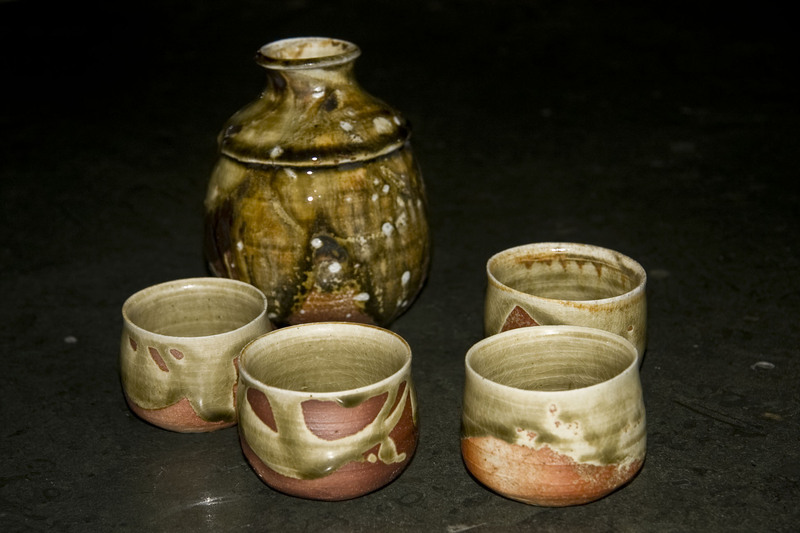 If you don’t drink sake, the carafe doubles as a small vase and the cups can be used for tea, liquor, or as spice bowls. 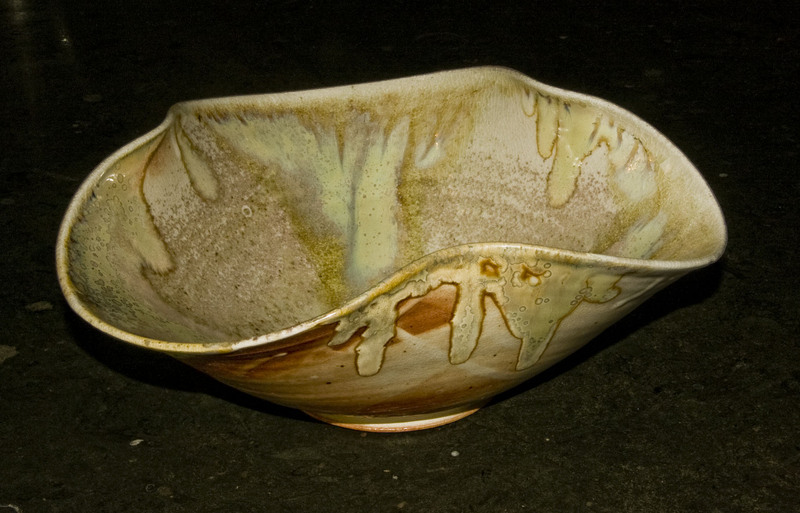 Wood-fired, glazed with Korean celadon, slip, with feldspar crystals. LIP, because…well, the lip! I have five of these, all different. This one is about 12 inches in diameter, 5 inches high. 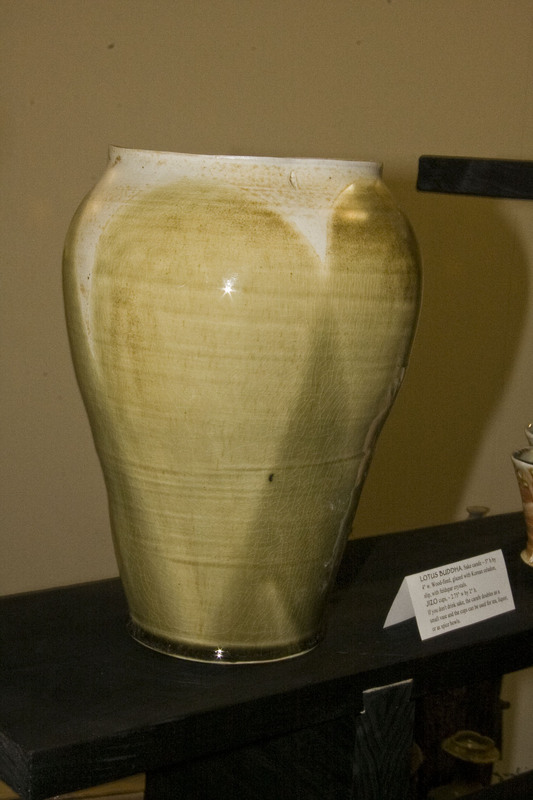 Shark-skin shino glaze. 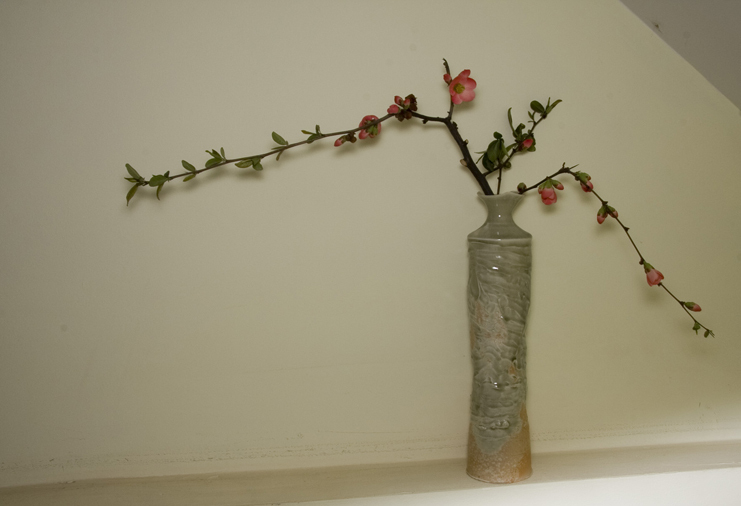 The first LIP bowl, which was also my first ever show entry, in the Tokyo-New York Friendship Ceramic Competition, was an accident. I was making a regular bowl and it started to slump so I quickly hung it upside down. Getting the hang of these, and loving the different ways they hang!